Definition: The Brand Portfolio refers to an umbrella under which all the brands or brand lines of a particular firm functions to serve the needs of different market segments. In simple words, brand portfolio encompasses all the brands offered by a single firm for sale to cater the needs of different groups of people. Brand portfolio is generally created because each brand has certain boundary beyond which it cannot fulfill all the needs of different market segments. The advantage of having the Brand Portfolio is that management can keep a check on all the brands as a whole and frame the policies with a broader perspective. Also, the resources can be allocated to the brand that needs the most. Flanker Brand: A Flanker Brand also known as a Fighter Brand is a new product launched in a market by the company in the same category wherein an established brand is already positioned. This is primarily done for the increased market share as well as to cater to the need of all the segments of customers.e.g. 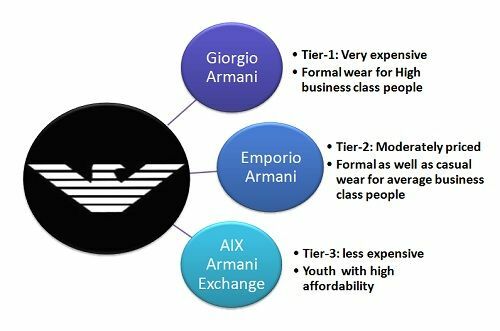 Armani’s brand portfolio is one of the best examples to explain the concept of a flanker brand. In it, the brands are distinguished on the basis of price and customer segment. Cash Cow Brand: A cash cow brand is that product in the brand portfolio that has reached the maturity level in the product life cycle but is able to bring in profits necessary for its survival. These brands are not removed from the market because necessary cash is flowing in through its sale which is better than incurring heavy cost on the launch of a new product.E.g. The best example of cash cow brand is Gillette Company that is keeping the old brands viz. 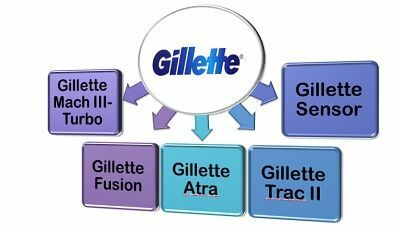 Gillette Atra, Gillette sensor and Gillette Trac II in its brand portfolio despite new razor technology such as Mach III turbo and Gillette Fusion. Low-End Entry Level Brand: A low Entry Brand in a brand portfolio includes the product which is offered at less price. The low priced product is added to the portfolio to ensure the purchase at least once and bring the customer into the brand family. Once the customer becomes a part of the family, he is then persuaded for the purchase of the higher priced product in near future.E.g. Hero MotoCorp explains this concept very accurately wherein low priced bikes viz. 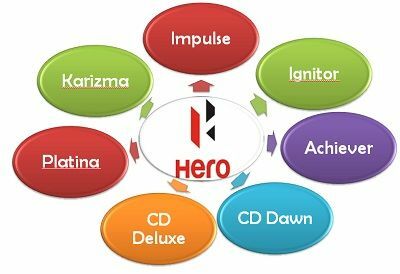 CD Dawn, Platina, CD Deluxe are added in the brand portfolio to gain the customer base along with the high priced bikes such as Karizma, Ignitor, Impulse, Achiever, etc. High-End Prestige Brand: A High-End Prestige Brand in the brand portfolio is the product offered at a high price with the intention of creating a sense of prestige in the minds of customers. Other brands in the portfolio also get the recognition because of the premium brand and its quality do have a halo effect on each product line.E.g. 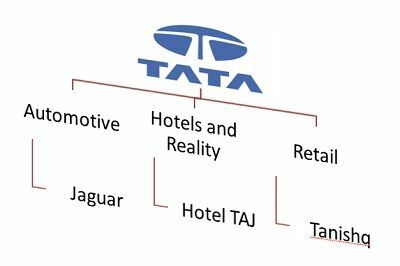 Tata is the best example to elucidate high-end prestige branding. Thus, a firm tries to have all the different brands operating independently under its periphery to protect the sources of equity by not letting customers move away due to the unavailability of their desired product.